Situated east of Bordeaux on the Sainte Foy la Grande slopes Château Petit Roc has a clayey/limestone soil. 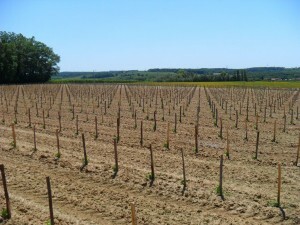 Clay produces very rich red wines. The red grape varieties (Merlot, Cabernet Sauvignon, Cabernet Franc) and the white grape varieties (Sauvignon, Sémillon, Muscadelle) are well fitted to our soil. The name of our district “Les Lèves” means “Raising stones” referring to the rubble stones used for construction.